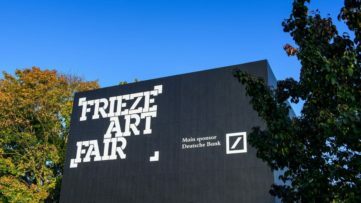 For the first time ever in the UK, the Whitechapel Gallery will host a retrospective of Elmgreen & Dragset, the artist duo known for stunning works which challenge the notion of the social and the sexual body in regards to power structures. Titled This is How We Bite Our Tongue, the show brings together six new sculptures and twenty-nine work produced over the last two decades. On this particular occasion, the duo tackles the gentrification of London’s East End, using it as a paradigm of the constant commodification of public space in the post-Brexit period. They have transformed the gallery space into an environment inspired by the work of the 19th-century painter Vilhelm Hammershøi, allowing the visitors to re-imagine a different kind of civic space. 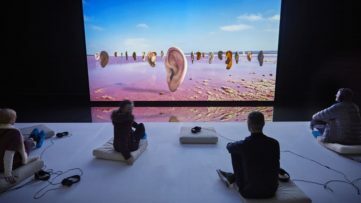 The exhibition This Is How We Bite Our Tongue will be on view at the Whitechapel Gallery until 13 January 2019. Featured image: Elmgreen & Dragset – Modern Moses, 2006. 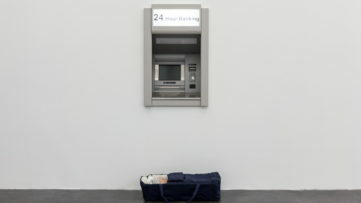 Carrycot, bedding, wax figure, baby clothes, stainless, steel cash machine. Carrycot: 16 x 71 x 37 cm. 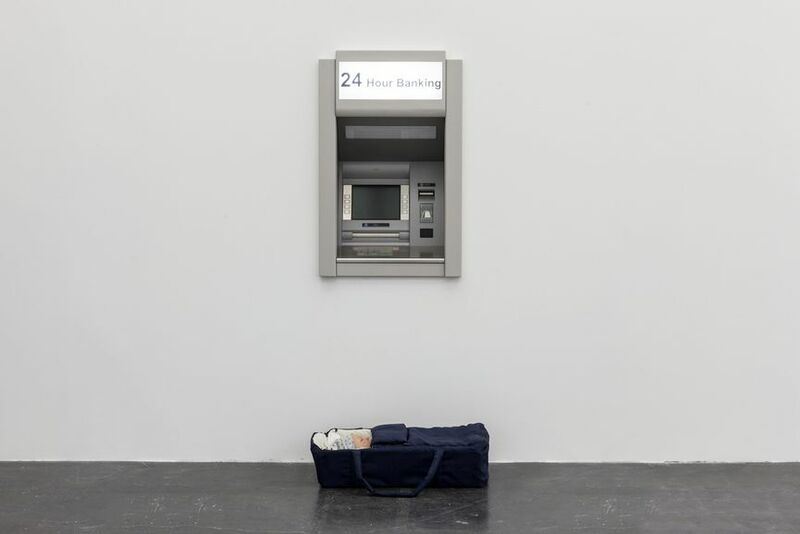 Cash machine: 96.5 x 63.8 x 43.5 cm. Courtesy of the artists. Photo: Eric Gregory Powell.